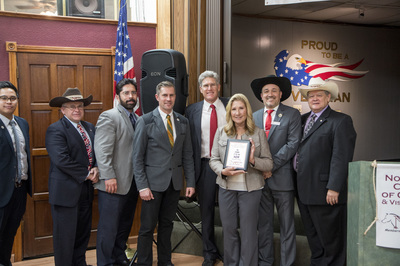 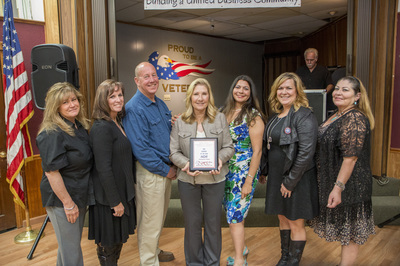 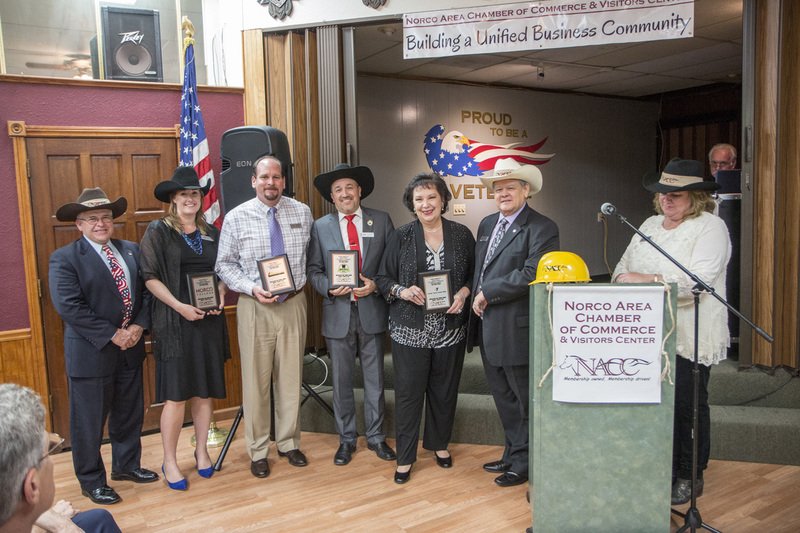 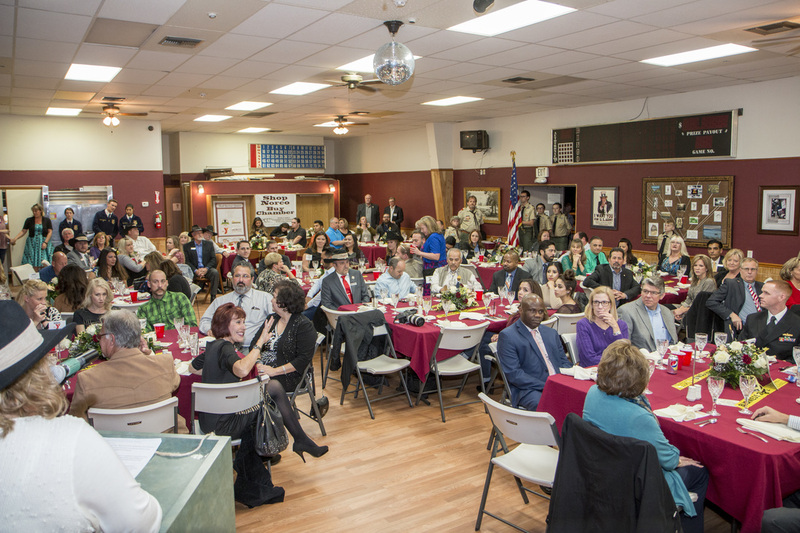 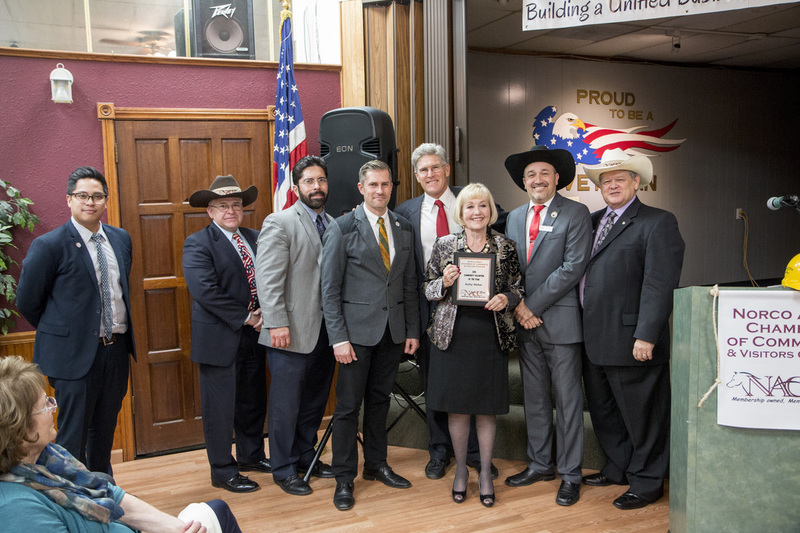 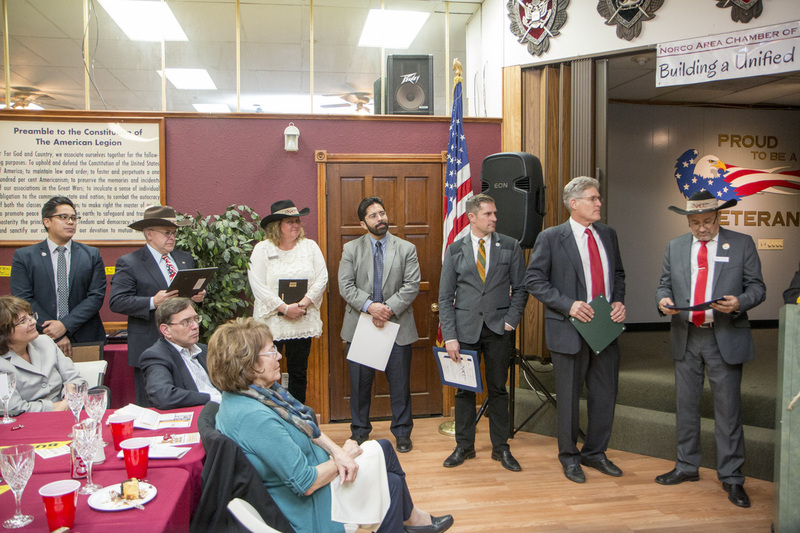 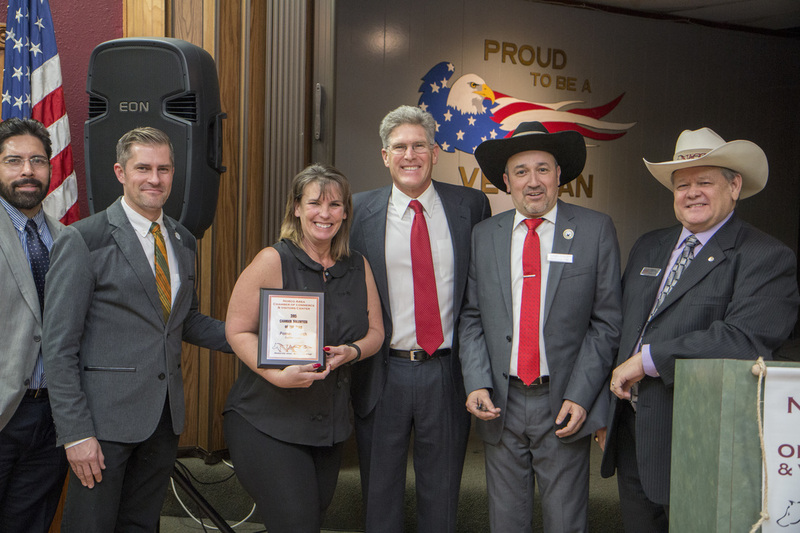 On Thursday, January 29, 2016, the Norco Area Chamber of Commerce held its annual Installation & Awards Dinner at the American Legion Post 328 to install the Chamber’s Board of Directors for 2016 and recognize the work of community businesses and Chamber members over the past year. ​The evening began with the Presentation of Colors and Pledge of Allegiance led by Boy Scout Troop #999, which was followed by an invocation from Pastor Adam Smith from South Hills Church in Norco. 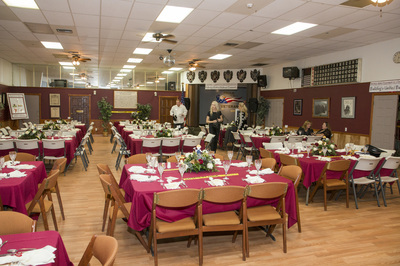 Those in attendance then enjoyed a dinner provided by Sixth Street Deli. Following the dinner, Chamber CEO Diane Collins began the event by noting the Chamber’s successes over the past year, including the establishment of three annual events, an impressive $5,700 raised by the Military Appreciation Luncheon that went toward military charities, and the addition of Taste of Norco to the annual State of the City address that allowed community members access to sample food from a variety of local businesses. Event sponsors Norco Valley Dental, Browning Dodge Chrysler Jeep Ram, Corona-Norco Family YMCA, and Norco College all received plaques in recognition of their generous contributions in helping making the dinner possible. 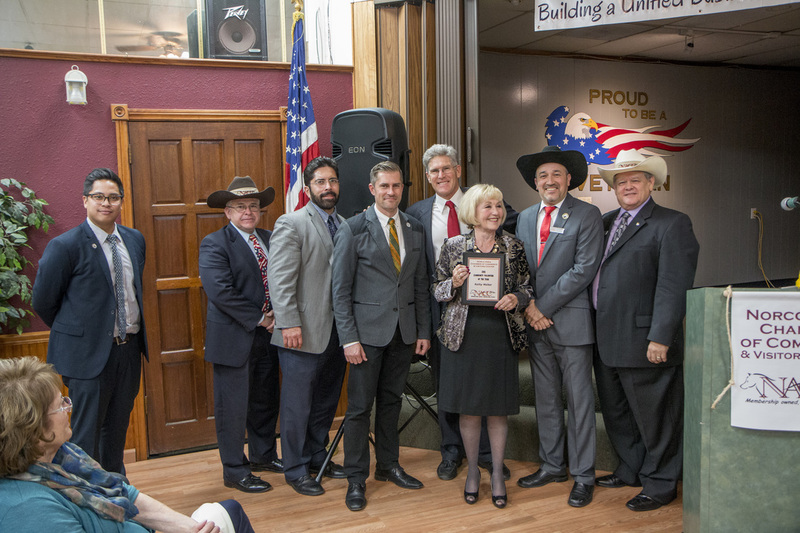 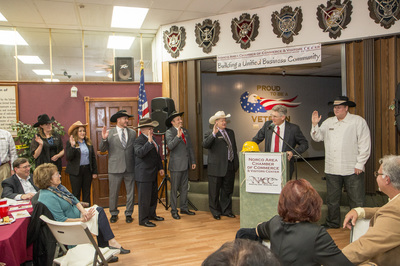 Norco Mayor Kevin Bash was then brought to the stage to install the 2016 Board of Directors, including Chairman Michael Ryan, Vice Chair Dr. Jesus Martinez, Treasurer Ted Rozzi, and directors David Bisaha, Glenda Chavez, Ashley Etchison, Joseph Grunebach, Christopher Muller, Mike Quriashi, and Galen Walker. 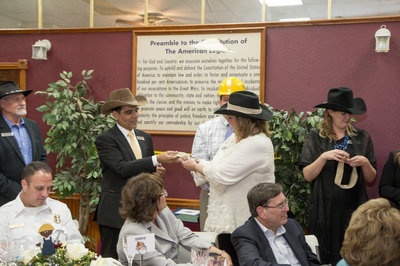 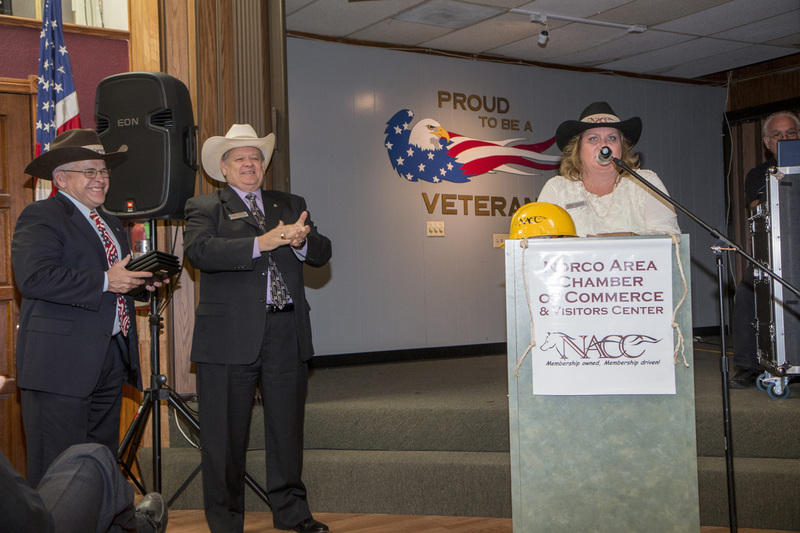 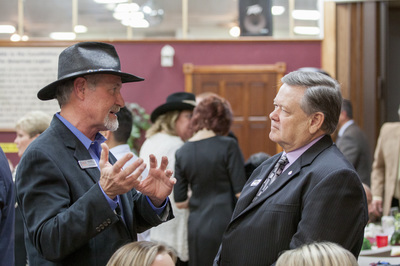 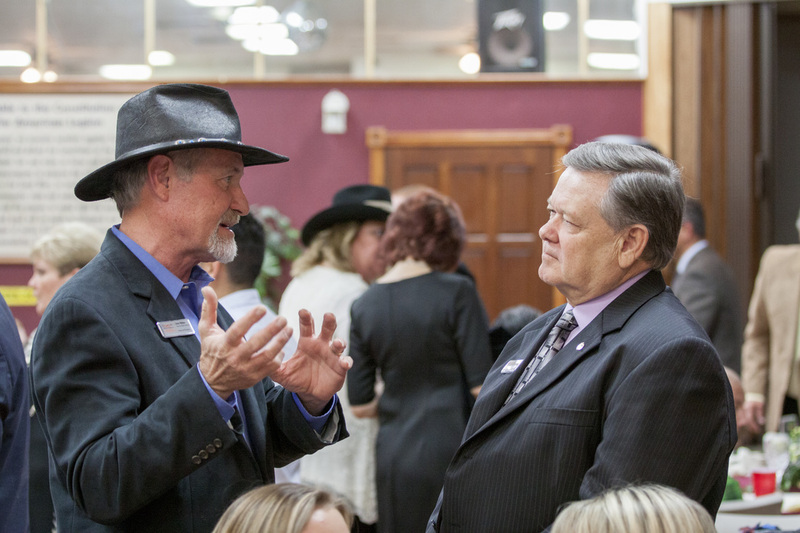 New members Chavez, Etchinson, Quriashi, and Walker were each provided with a specialized NACC hat band for the cowboy hats traditionally worn by members of the NACC Board of Directors. 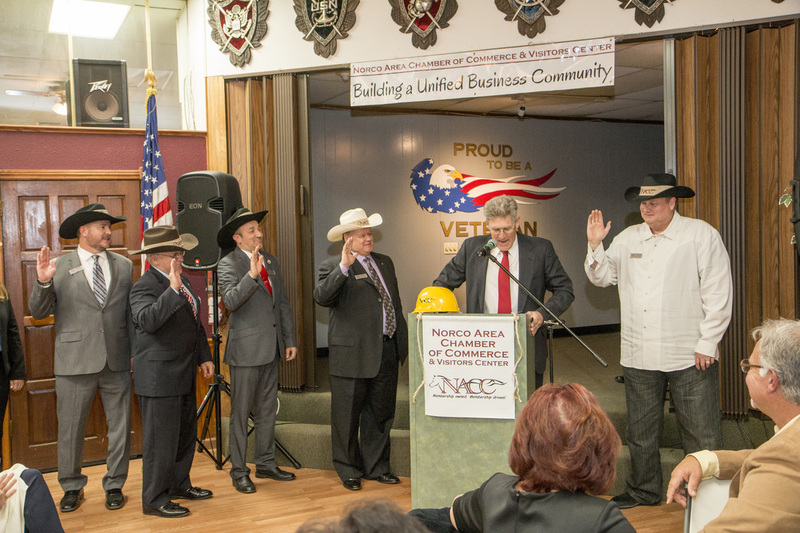 Chairman Michael Ryan returned to the stage to present his 2016 Chairman’s Address, as he begins his second term. However, before delving into his address, Ryan honored retiring Board member Pamela Smith for her immense passion and support of the Chamber and community over many years. 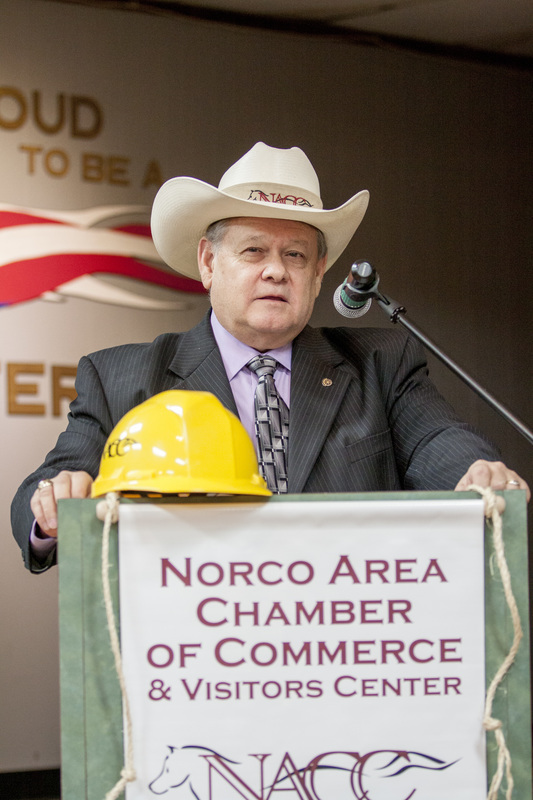 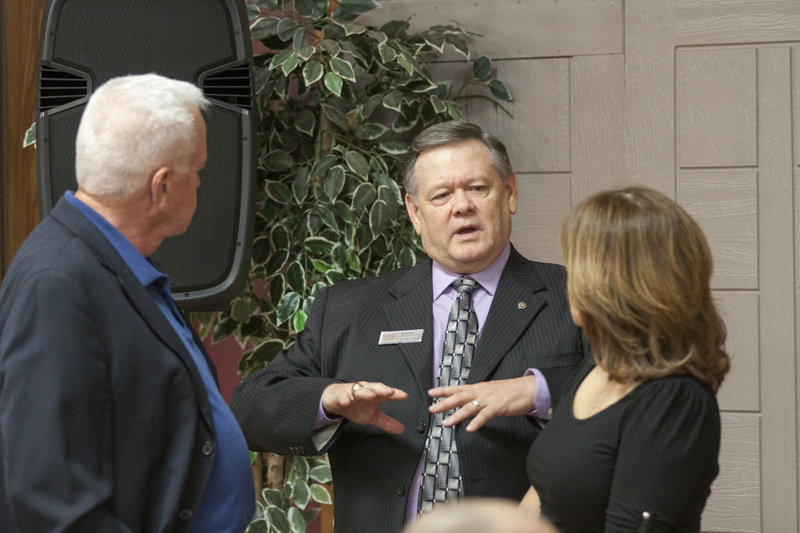 In his address, Ryan noted the factors that encourage others to become members of the Norco Area Chamber, including the unparalleled advocacy, involvement, and marketing that the Chamber offers. 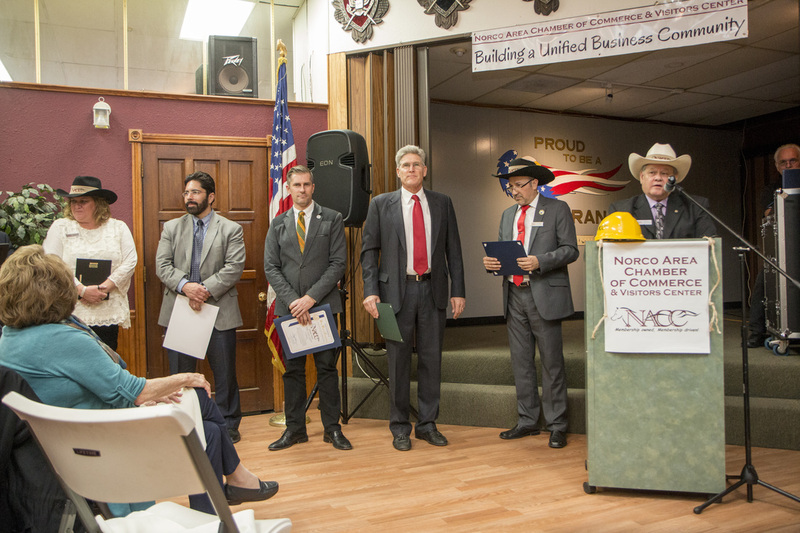 Ryan discussed how, through its advocacy efforts against legislation harmful to businesses, the Chamber has been able to save businesses from tax increases. 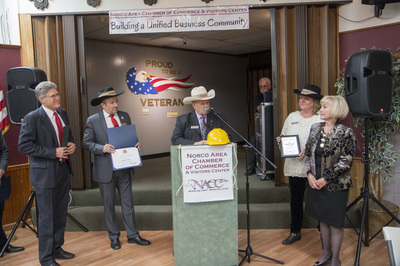 With the conclusion of Ryan’s Address, Chamber and community members were recognized for their contributions and efforts in Norco’s business community over the course of 2015. 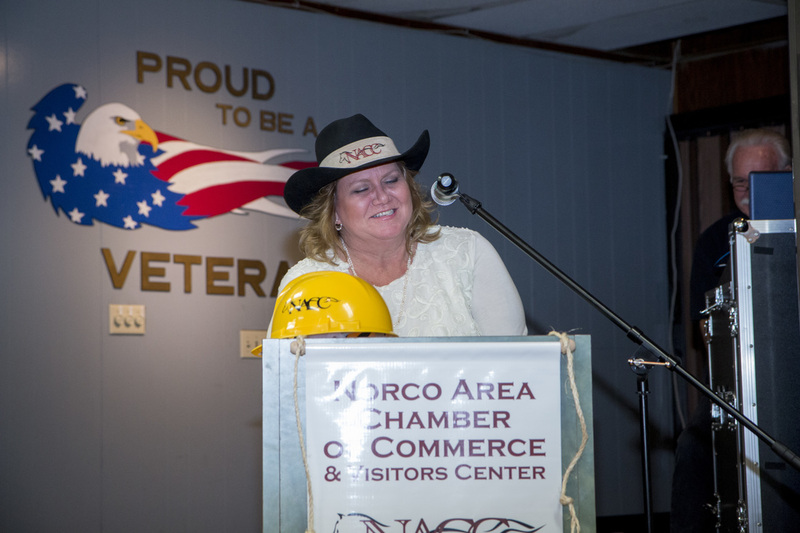 Chamber Volunteer of the Year was awarded to Pamela Smith in appreciation of her selfless dedication and work for the Chamber and community. 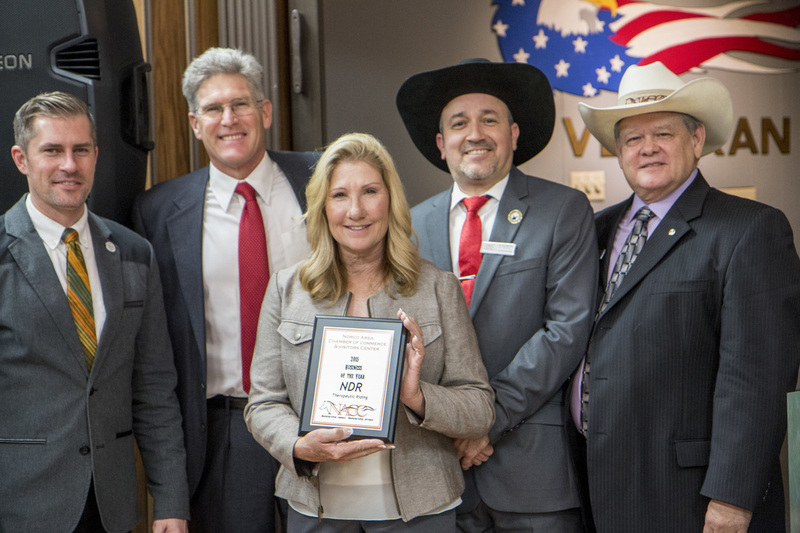 Kathy Walker was recognized as Community Volunteer of the Year, an award meant to recognize an individual or organization who has made significant contributions to the community. 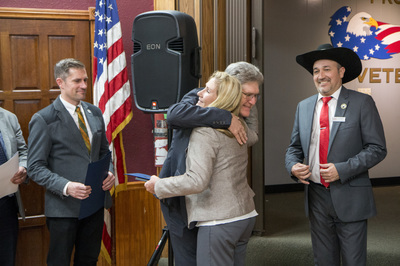 Mayor Kevin Bash noted the positive difference Walker has had on all who have known her. 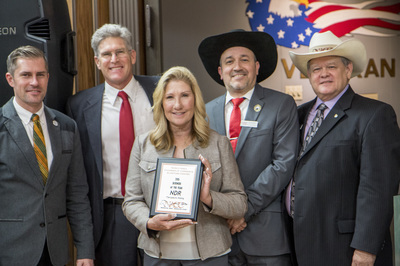 Walker has worked as the local government affairs liaison with the board of realtors that represents Norco and has actively advocated at city council meetings and in Sacramento. 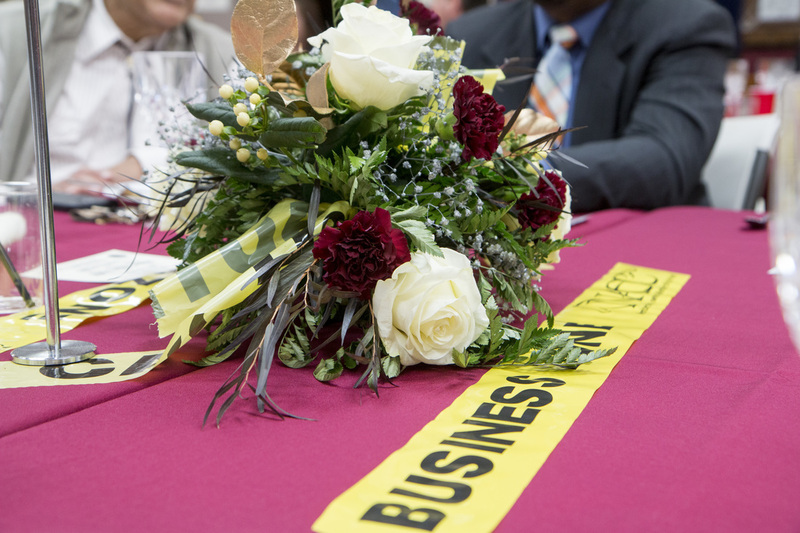 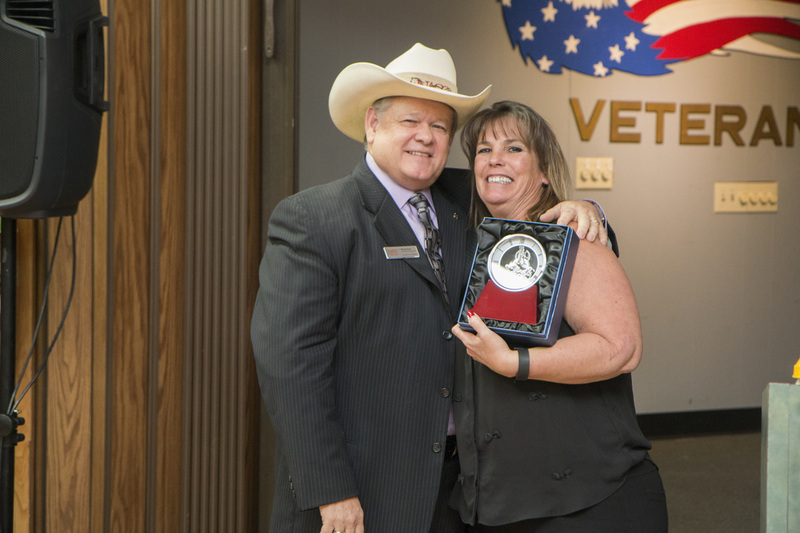 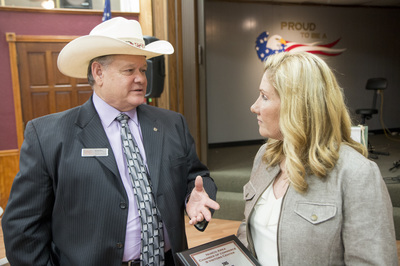 Business of the Year, an award designed to recognize a member of the Chamber that has made exceptional strides and significant efforts in the community over the past year, was presented toDonna Hyde, owner of NDR Therapeutic Riding. 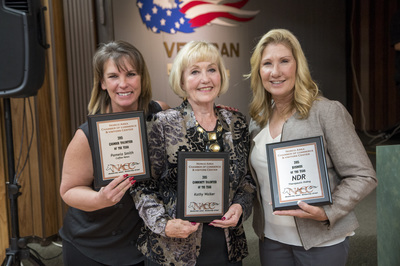 Hyde has spent more than 30 years working with people with disabilities and developed her business in order to provide unique treatment through horseback riding that has proven to be incredibly successful and effective. 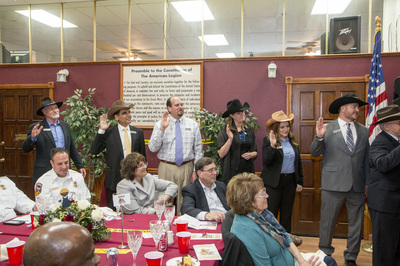 The program has garnered more than 60 clients, and their facility became the training site for the Special Olympic U.S. equestrian team. The event was brought to a close as Diane Collins thanked all those in attendance as well as the American Legion for allowing the Chamber to host the dinner there. The event was made possible by sponsors Allstar Collision, Browning Dodge Chrysler Jeep Ram, Corona Norco Family YMCA, DiGerolamo Family Insurance, Hampton Inn & Suites, Norco Valley Dental, Norco College, Positive Printing Services, and Waste Management.